Here’s a look at the “Identification” class in the BIMAXON classification system for BIM object property names. This is in fact the most important class, since every BIM actor needs Identification properties for every use of a model. So the gains from standardization here are very big. In presenting 1st-level classes, I promised to detail the sub-classes and specific properties that each one contains. 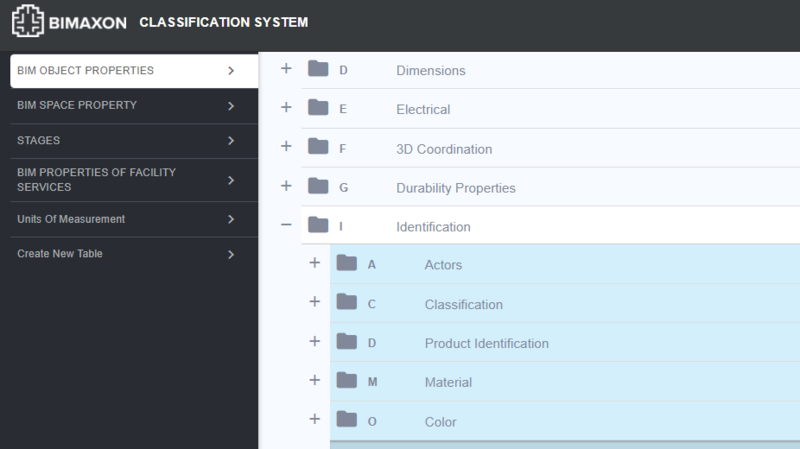 Class “I” (Identification”) includes the properties that identify a BIM component: its product ID, Uniclass code and IFC category, who made and approved it, the software used, etc. Going this route, instead of using custom properties to identify components, strengthens BIM model transparency and information exchange. It ensures stable coding over a building’s lifecycle, across all your own projects, and potentially throughout the industry. We get the same set of parameters everywhere, with the same names, understood the same way, and easily translated. 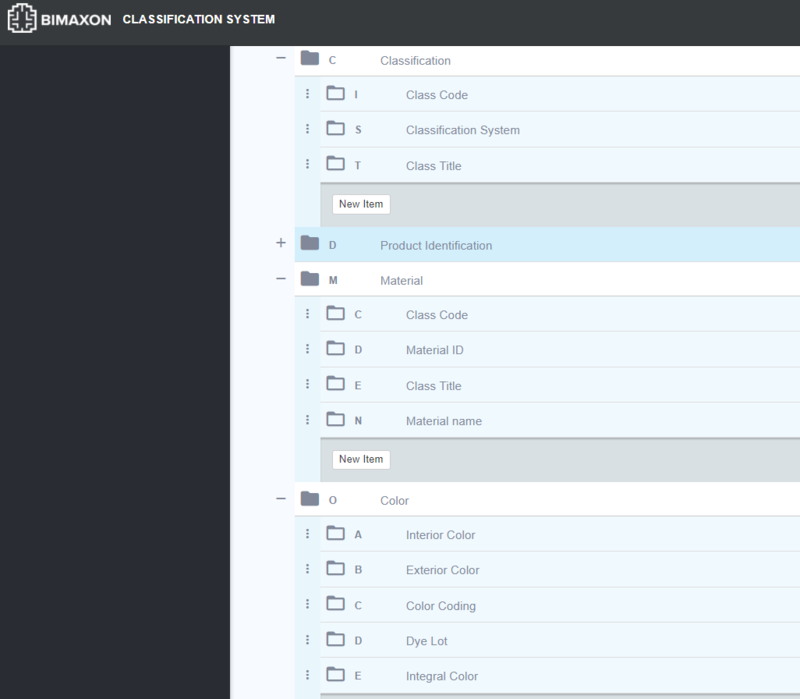 More specifically, an Identification class of properties improves workflow through better information management. It’s easier to find and manage needed elements. It’s also easier to request a specific set of information from others and to give others just the information they need. With these properties, I can easily filter for all the components approved by “John Doe”, for example, or for all those designed or created by “Mary Smith”. That lets me sort based on level of detailing (“Show me all the LOD100 or GR1 components”), or for all products of a particular type, objects created with Revit or other specific software, and so on. You’ll have noticed that this 3-level classification system has a unique 3-letter code for each property: “IDP” is a BIM object’s product ID number, for example. I’ve collected and compiled property classes and sub-classes from all over, creating some on my own to fill in gaps. 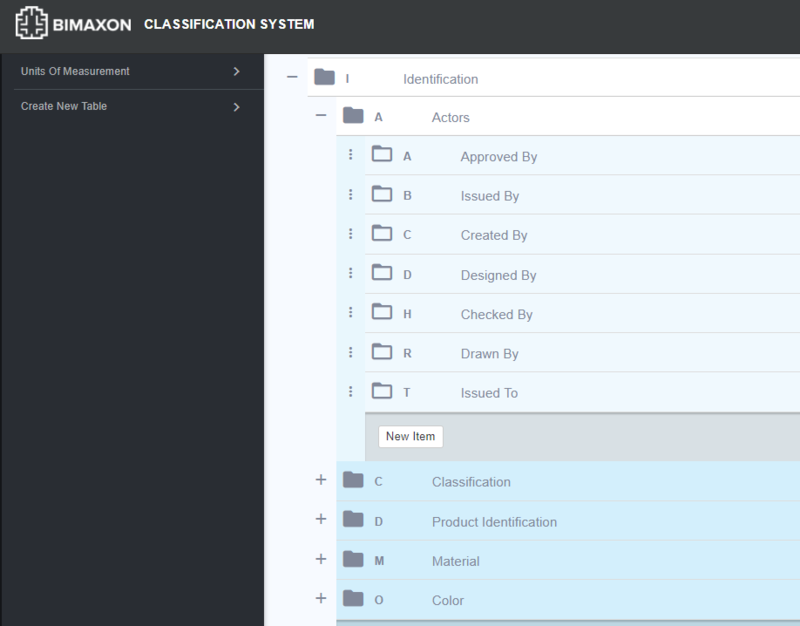 BIMAXON seeks to cover all BIM object properties (and spaces and technical systems) in a simple human-readable classification that’s easy to use. The next time I’ll provide details of the “Dimensions” set of BIM object properties – class “D”. This is BIM-focused classification power that you don’t get with Uniclass or OmniClass or IFC or anything else. I think it’s crucial for the future of BIM. Since information exchange, already so important today, is set to become ever more so in the coming years. Next Post Next Post: THANKS FOR YOUR PATIENCE – BACK TO BLOGGING!